Overwatch is a dynamic game: Buff, nerf, buff, nerf, change Roadhog, let’s not have Soldier 76’s gun do X damage, etc. What this means for the player is that the very same game’s tactics, functional team compositions, and the overall meta heroes are subject to change, and they do so often. 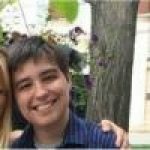 To be a good Overwatch player and remain a hero that never dies, you have to keep up with these alterations. Season Six recently debuted, along with some big changes to Junkrat, Roadhog, Orisa, and Widowmaker. Zarya also recently received a buff. Mercy and D.Va rework’s are still on the PTR, so we will only focus on changes for live heroes. 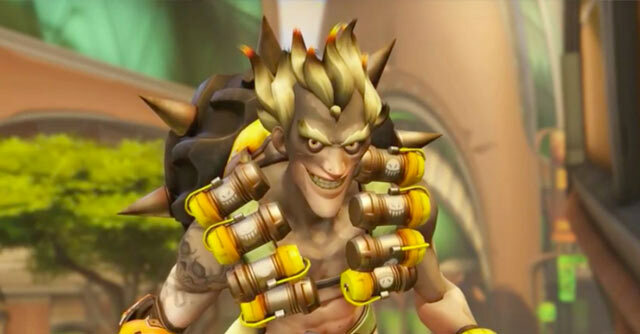 Junkrat becomes a lot more versatile, with the ability to use a mine off spawn for mobility and another for combat. To put this into perspective, imagine defending Temple of Anubis. There are multiple spots Junkrat can reach using his mine, but now you can reach that spot and immediately have an offensive mine ready. Of course, this is irrelevant at the beginning of the match, when there is ample time to set up and have your abilities cooldown. However, if you get picked, this extra mine gives you the opportunity to come back, reposition, and throw down a trap/mine combo, or hit an already damaged enemy with only a mine and secure a pick. These changes put Junkrat in a less vulnerable position if he chooses to use a mine initially for positioning (an often wise choice when a team fight has ensued), and if used well might just become your spam damage hero of choice. Junkrat’s partner in crime saw a huge nerf last season in his damage output and an increase in fire rate; he is arguably a lot harder to glean value from in competitive. Blizzard did not touch his offensive capabilities, but instead chose to focus on his Take a Breather ability. He can use this while moving and takes 50% less damage while doing so. This greatly enhances his survivability, allowing you to rush in a little more recklessly (WITH your team, please), replenish your health, and get right back to it. Another tactic is to use your ability to heal as a shield; take damage for squishy teammates like Tracer, Soldier 76, baby D.Va, etc., then heal yourself. The main counter to this strategy is why not use an actual shield hero like Reinhardt or Orisa? Shield size increased by 20% and projectiles travel 20% faster. As an Orisa main, I guarantee this larger shield, coupled with the cooldown that seems ridiculously low, grants you shelter with a low chance of losing it. Consider a corner on point B defense Volskaya Industries. You can barricade yourself; the only way in is to literally walk THROUGH your shield. They might be able to pick you with an ultimate, but if you are the only one behind the shield, ulting within the shield is just going to kill you. 20% faster projectiles means bullets have an increased likelihood of reaching the target before said target moves. Be sure to adjust predictions for moving enemies accordingly. Grappling hook cooldown reduced from 12 to 8 seconds; triggered venom mines reveal those who triggered it, but only to Widowmaker. This means Widow has become more mobile and her mine arguably has much more utility, given its low rate of damage. Unless you are comfortable with Widow and have decent accuracy, these changes do not make her more playable. Certain abilities are disabled when pulled into graviton. Think Genji not being able to double jump out, Tracer cannot recall/blink out, etc. Some DO still work though and this is important to keep in mind. Two big ones are Reinhardt’s shield is still active, along with Orisa’s fortify (she’ll just walk out). Season five was the season of dive. Season six seems to be shying away from dive for more traditional hero choices. Masteroverwatch keeps track of hero selection, as well as several other statistics. To see where the meta is going, it makes most sense to look at what the playerbase is actually doing. On consoles, Reinhardt (antithesis of dive) is in the top ten most picked heroes, while Winston (great dive hero) is either at #10 (PS4) or even drops to the top 15 (Xbox One). It appears there is a resurgence in popularity of the traditional ground tank. On PC, however, Winston is still chosen more than Reinhardt (#6 v. #9 respectively), though they both remain in the top 10 most chosen. Junkrat is in the top 10 across all platforms, and so is Zarya (she’s top 5 on console). Roadhog is in the middle at top 15; his buff has not skyrocketed his pick rate. On the other hand, Orisa and Widowmaker are in the bottom tier (Orisa between #15 and 17 with Widow between #18 and 24). Credit to Masteroverwatch for tracking these statistics. What this means is a less dive-y, more ground centred meta is emerging. With that said, here is a table depicting the top 8 winners and losers for season six. Heroes were selected based on statistics from Masteroverwatch using most/least chosen with winrate (> or approaching 50% for winners/< not approaching 50% for losers). This doesn’t mean you cannot play a “loser” hero and win. You can with the proper playstyle, skill, and team composition. What this means is that in terms of actual playrate and our shining meta heroes, they don’t make the cut.